Another carrier has join the iPhone tea party: C-Spire. The iPhone 4S is now officially available in four US carriers. 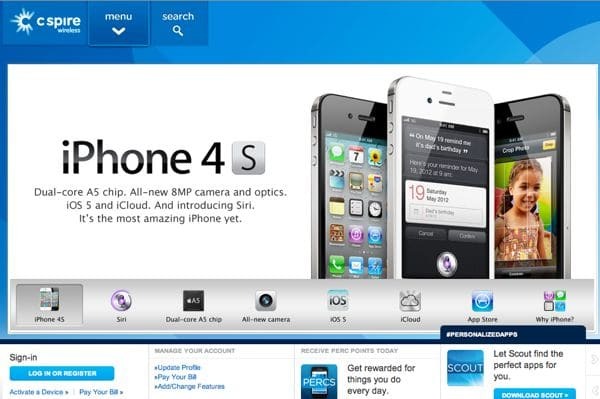 C-Spire today announced that they will be carrying the iPhone 4S in the upcoming weeks. The carrier hasn’t announced price and specific date for the iPhone but this sure will boost their subscribers, which is right now less than a million making it a smaller carrier than T-Mobile and Metro PCS. C-Spire is a CDMA network so it will be using the same iPhone on Sprint and Verizon.